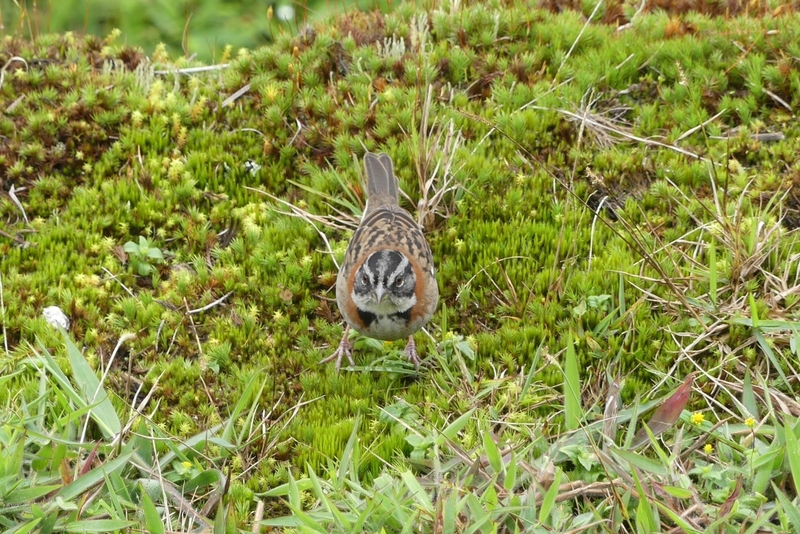 Situated above the Sacred Valley, which is 80 km northwest of Cuzco, the Machu Picchu Wonder is best to be visited early in the morning (get there right by the opening hour of 6 am – so you can also enjoy the sunrise) or later in the afternoon, nearing the closing time, when it is not crowded. The most familiar icon of Inca civilization, declared a Peruvian Historic Sanctuary in 1981 and a UNESCO World Heritage Site in 1983, Machu Picchu was voted one of the New Seven Wonders of the World in an Internet poll. And when you see it, you understand why. 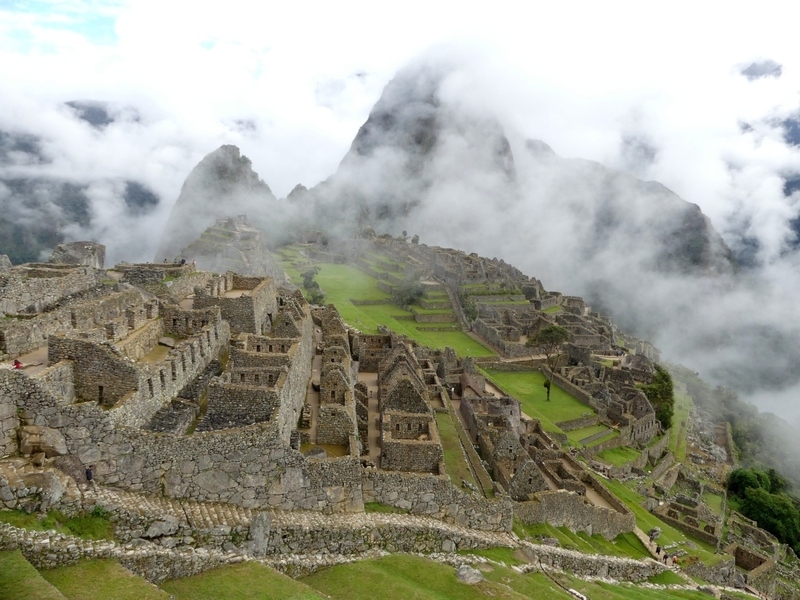 The Incas built the royal estate around 1450 but abandoned it a century later at the time of the Spanish Conquest. 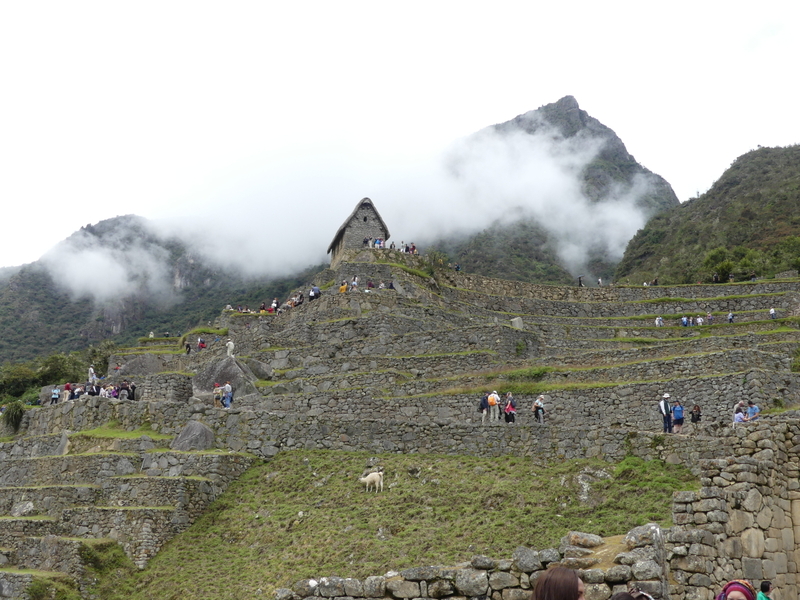 By 1976, thirty percent of Machu Picchu had been restored and restoration continues. The Quechua language name of the site is often interpreted as “an old mountain” or “an old pyramid”. 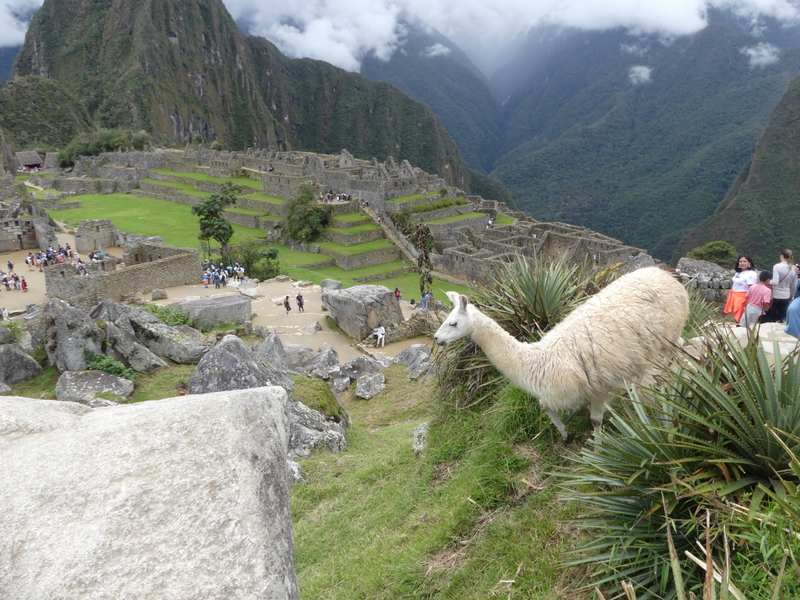 There are freely running llamas and alpacas at the site and eager hikers can choose from many different trails to hike up the surrounding Andes Mountains. The place is known for its rains and it is usually partially hidden in clouds which intensifies the mystic and magical atmosphere of the place. The beautiful sophisticated terrace fields, the Inca Bridge, the Temple of the Sun and the Intihuatana stone (one of many ritual stones in South America arranged in order to point directly at the sun during the winter solstice) are just a few of the frequently pictured sights. The energy of the place is strongest when you perceive it standing on one of the surrounding mountains. When you are walking through the ruins as such, you are stuck among crowds of people, all of you following the same path, trying to get – in vain – some pictures “without the tourists”… . 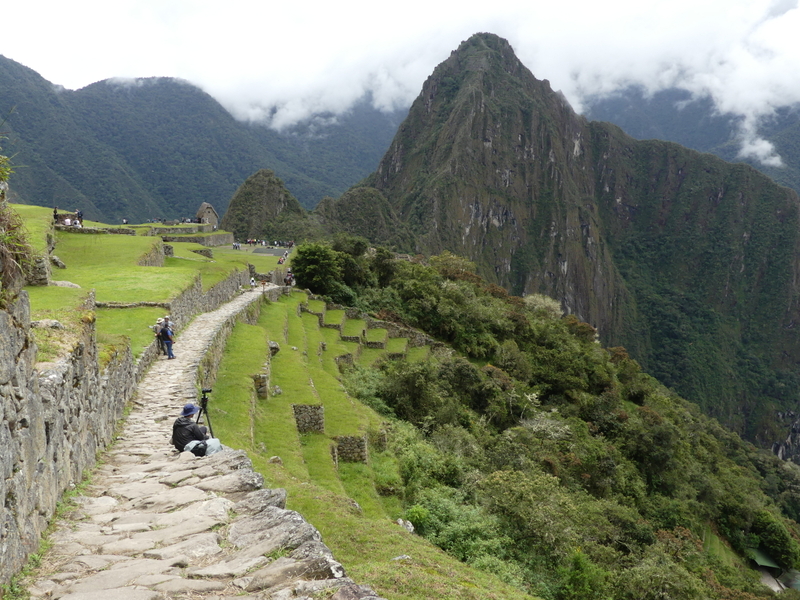 There are 2,500 tickets available to enter Machu Picchu every day and they do generally get sold out. 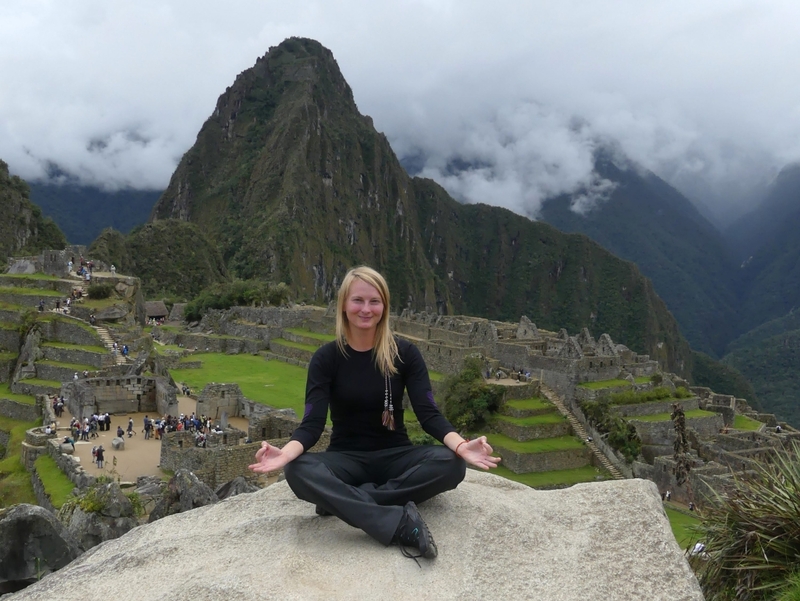 Machu Picchu is recognised as one of the spiritual centres of the world, already chosen among the 10 best spiritual destinations on the planet. 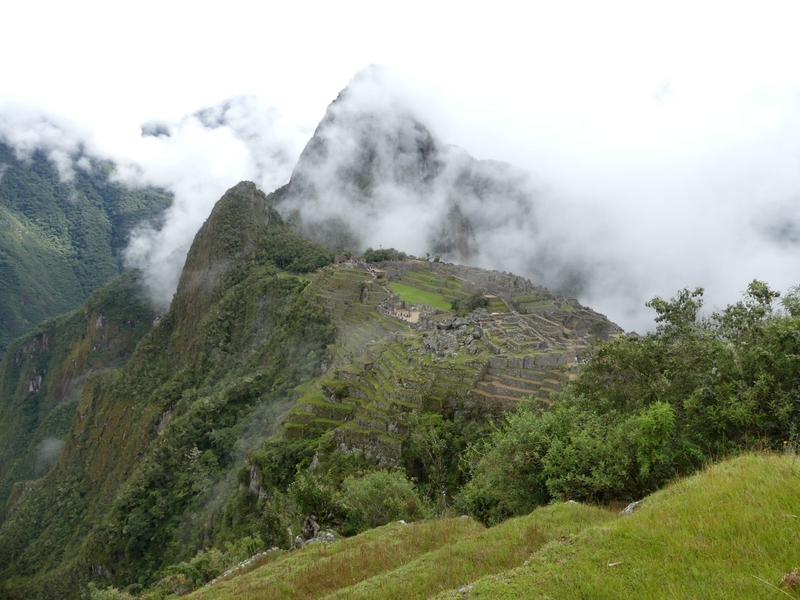 The energy of Machu Picchu comes from a very powerful “energy vortex” of the Mother Earth – “Pachamama” for the Incas. It can undoubtedly be perceived even by those who are not very sensitive to electromagnetic fields. 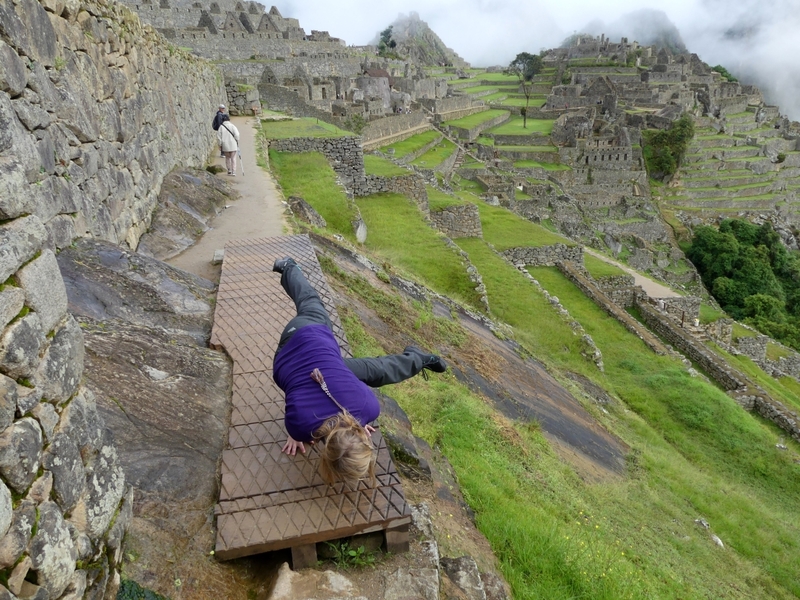 There are a few options of getting to Machu Picchu. The more adventurous and well-organized ones (only 180-200 persons per day are allowed on the trail and the permits are usually sold out for the year within a couple of weeks; the price is currently around 600 dollars with no showers, sleeping in a tent, very cold temperatures and eating very basic meals prepared in the kitchen tent on the way) would take the Inca Trail and hike for four days (with the necessary permit and with a local agency) via the Andes from Cuzco to Machu Picchu. 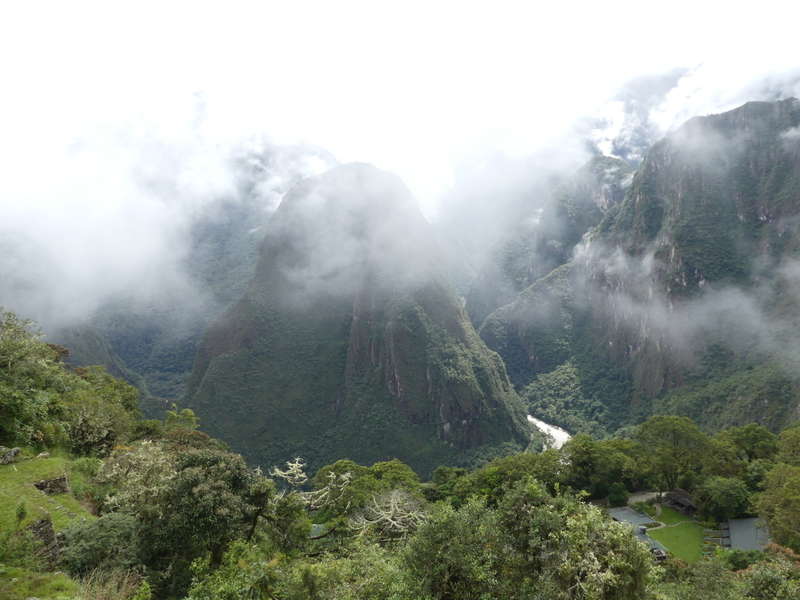 Another option is to take a taxi colectivo or taxi from Cuzco or Pisac to Ollantaytambo and then get the expensive but comfortable PeruRail trains via the Urubamba River canyon to the town of Aguas Calientes (the stop is called Machu Picchu). The 38-kilometer journey costs approx. 60 dollars in one direction. There are trains running directly from Cuzco too for circa 89 dollars. 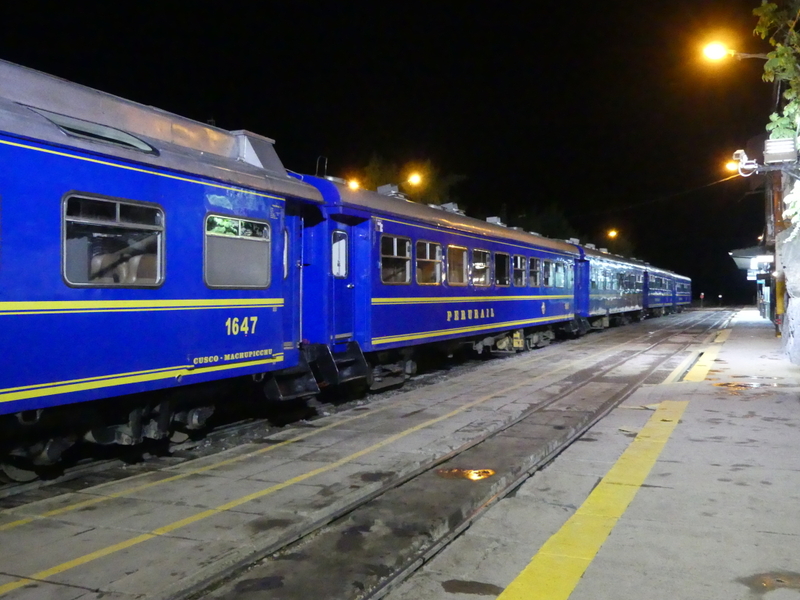 There are three types of train services which reach Aguas Calientes; Expedition, Vistadom, and Belmond Hiram Bingham, so check on their varied services and prices if interested. If you are on low-budget, you can get a taxi colectivo to Santa Teresa and another one to Hidroelectrica (the stop is called after a hydroelectric plant). It is much cheaper (about 10 dollars both ways) and you are not limited by the time schedules of the PeruRail. 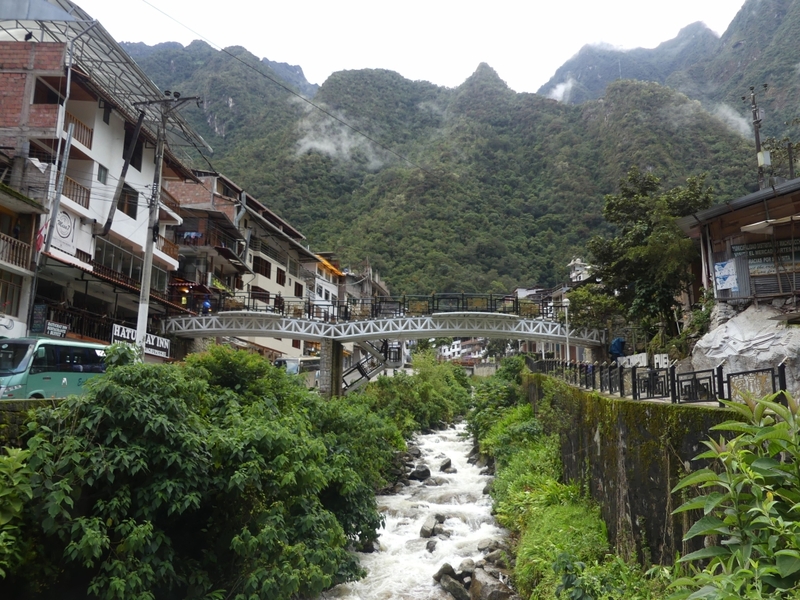 The only thing is that from Hidroelectrica you need to hike for circa 13 km to Aguas Calientes as the road finishes here. You can also get a private taxi to Hidroelectrica which gives you a chance to stop at some interesting spots on the way. If there is a few of you travelling at once, definitely use the private transfer. 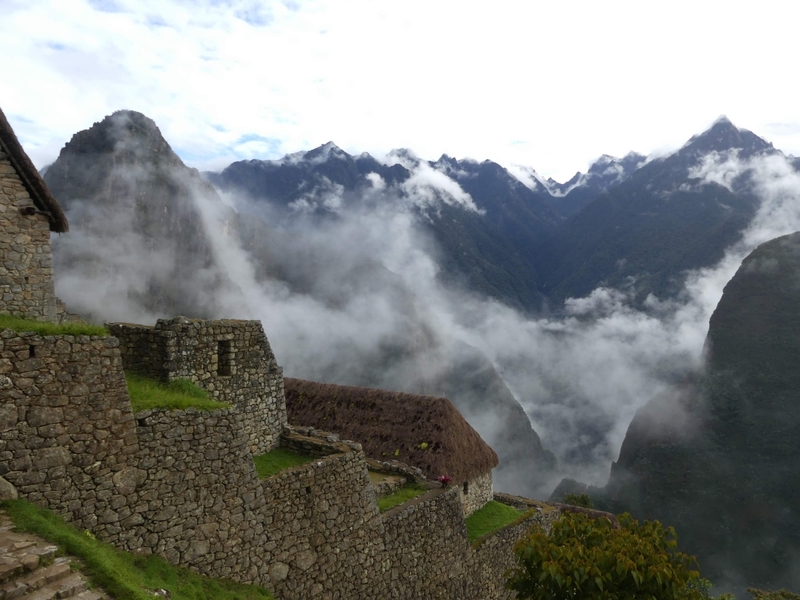 You can stop at the viewpoints, several Inca monuments, for lunch and in some thermal baths. You can do it all in one day and it will still cost you less than the train! 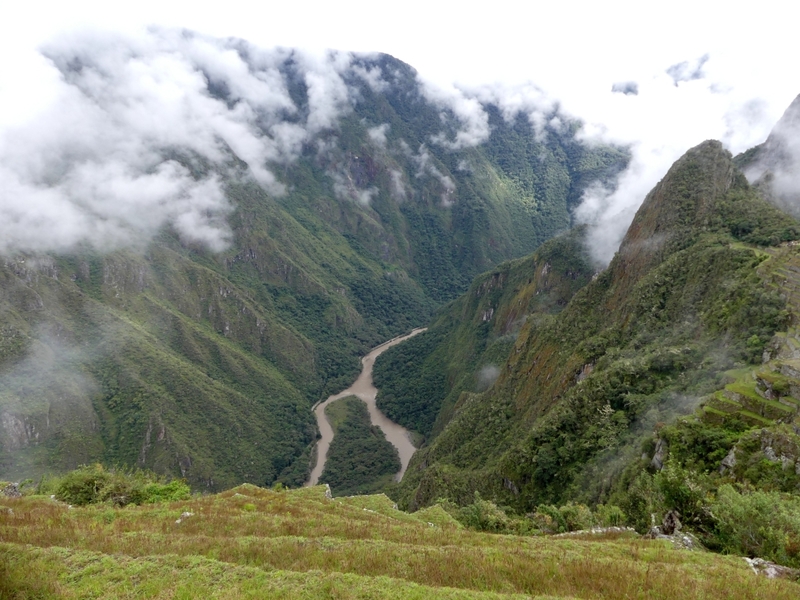 There is also One-Day Inca Trail also called Short Inca. If you want to take that one, you will disembark the train around 30 minutes before Aguas Calientes at what will appear to be the middle of nowhere, the stop KM 104. The 15 km hike from there will take you into the Andes Mountains and scale you up, down, and around this mind-blowing mountain range. 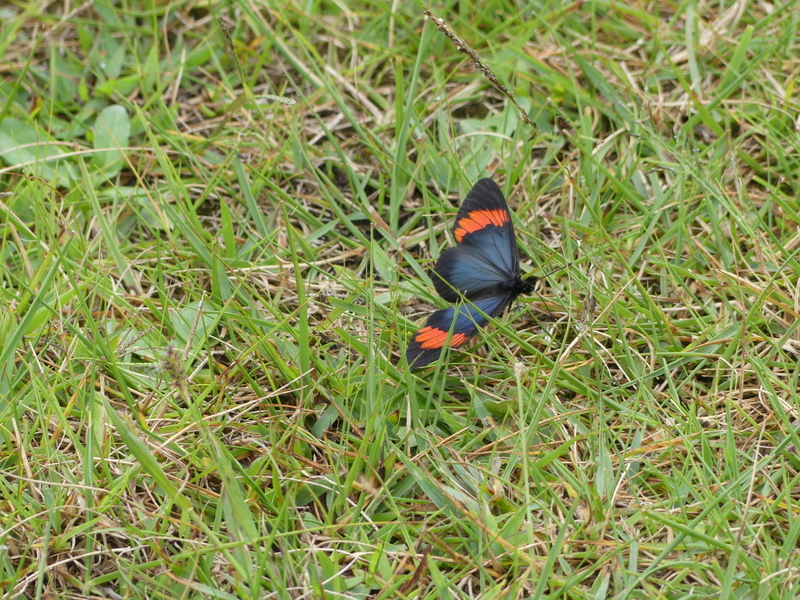 It is an intermediate hike that can take anywhere from 5-8 hours. There are plenty of steep climbs and tight curves, but they are all worth the stunning views. 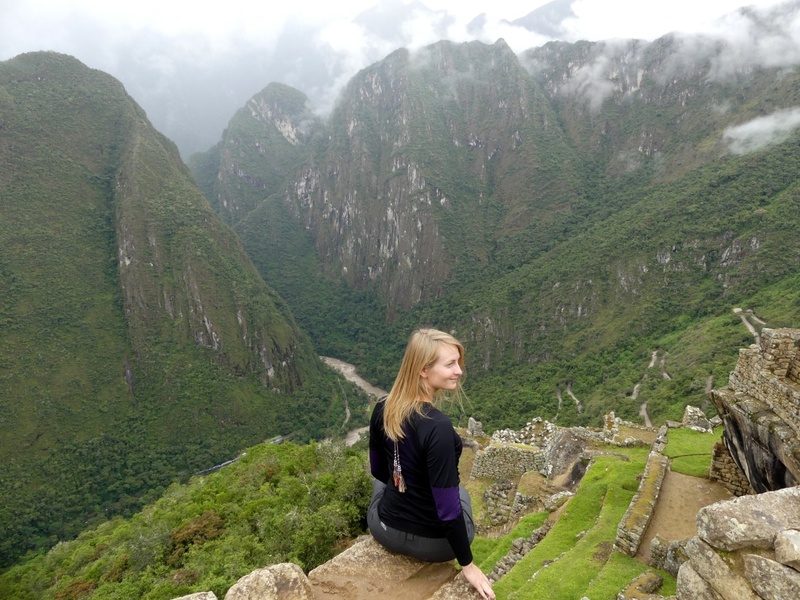 There are also other hiking options, such as Lares Trek, Inca Jungle Trek, Salkantay Trek, Choquequirao Trek, Lodge Trek, Vilcabamba Trek and many more. Check out the local tourist info points and agencies for more information. There are people who would take taxi colectivo to KM 82 and then hike on the rail for 28 km. I would not advise you to do so as the rail is being surveyed and you could be fined for having done this. There will be local people (bus drivers) persuading you that you HAVE TO by a bus ticket from Aguas Calientes to the site. Ignore them. If you feel like it, you can hike up but just know that it is a pretty steep road up there… The bus takes thirty minutes and costs 24 dollars one way. You can buy just one way up on the bus and then go down on your own – or the other way around if you wish. We started at 2:30 am from Pisac, taking a private taxi (120 soles, as at this hour there are no taxi colectivos, they usually run from 6 – 7 am to 8 – 9 pm) to Ollantaytambo, then the train (best to buy the ticket in advance online, but remember to also pick up your tickets in one of the PeruRail offices) to Aguas Calientes (which is no gem at all, in fact very crowded, grey and expensive), arriving there around 7am (the train ride is about an hour and a half long). The train has windows that scale to the roof of the train, allowing you to fully absorb the beauty of it curving through the crevices of the Andes Mountains. About 200 m away from the train station there are buses waiting and the drivers will gladly direct you to the bus office where you buy your tickets to go up to the site. It is essential to buy your entrance ticket in advance too (the basic one costs 45 dollars, if you want to do the Huayna Picchu hike or Montana, you pay ten dollars more), again, you can do that online and print it out. The tickets are for morning and afternoon times, but the specific times are not too strict. So far, the discussed rule that you can only visit the site with a certified guide has not been put into effect, so you can easily go without one or get one by the entrance to the site. 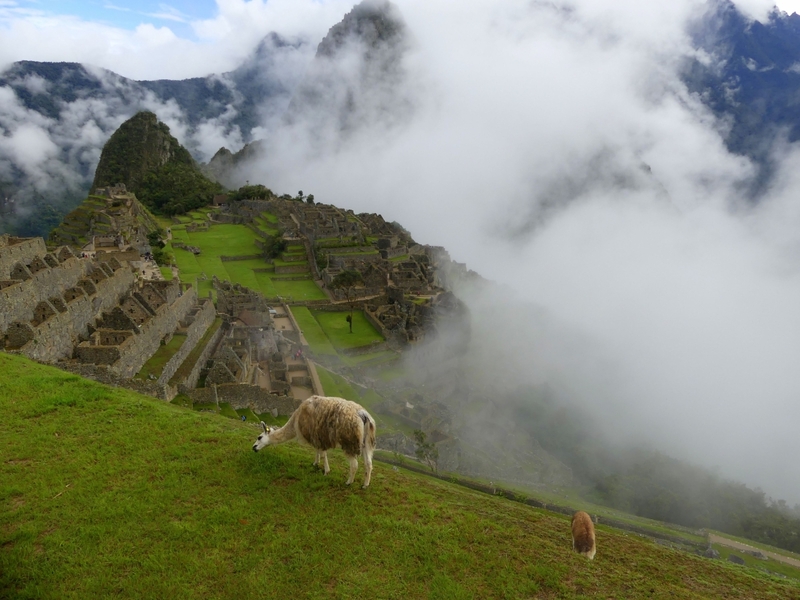 We needed circa six hours to really enjoy some short hikes within the complex of the archaeological site and the surrounding mountains, such as Intipunku Sun Gate (amazing at sun rise) and Puente Inka – Inka Bridge. 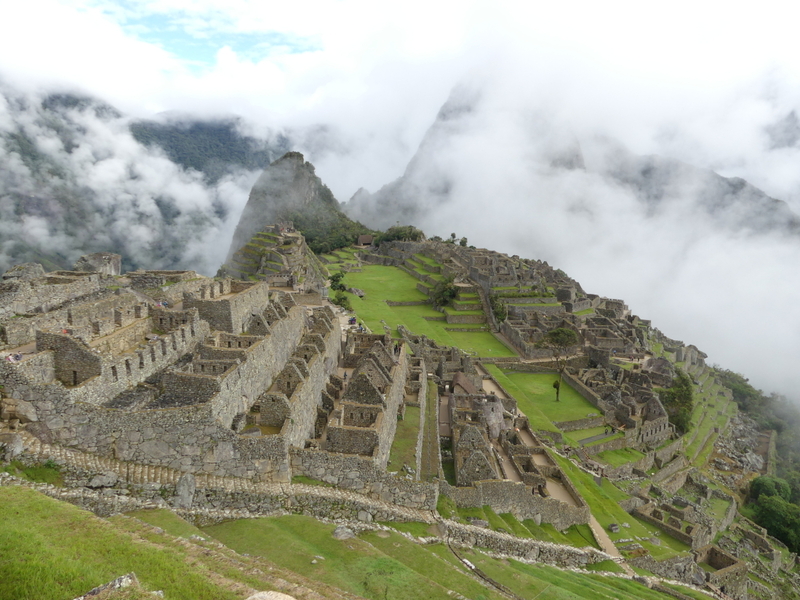 If you want to hike up Machu Picchu Mountain, don’t forget you need to buy a ticket which includes the entrance to this one and add two hours at least to your time within the complex gates. When you walk through the ruins as such you inevitably need to be ready to be walking slowly, following the backs of many of the people in front of you – that is just the way it is and it does not matter what time of the year you get in. It is not allowed to use umbrellas in the complex, so bring your raincoat. It is officially not allowed also to eat or drink in there, but in those respects the guards are less strict. The only toilets are located by the entrance. We finished our exploration of the site around 2 pm when the rain got thick and heavy and were grateful we bought a ticket for a bus ride back too. Having eaten a simple veggie soup for 8 soles at the local market back in the town (the only place where you can eat for less than 40 soles, the restaurants are crazily overpriced due to the flux of tourists in the area) we boarded the train back to Ollantaytambo where we got a taxi collective to Urubamba, then another one to Calca, and one more to Pisac, arriving at 7 pm to our homestay… a demanding day indeed but we have chosen that over the option of spending a night in Ollantaytambo, which is also pretty expensive and touristy.